Just outside the Wairarapa town of Featherston, a memorial garden marks the site of a Second World War riot that resulted in the deaths of 48 Japanese prisoners of war (POWs) and one guard. The camp opened in 1942 to hold 800 Japanese POWs captured in the South Pacific. In early 1943, a group of recently arrived prisoners staged a sit-down strike, refusing to work. Guards fired a warning shot, which may have wounded Lieutenant Adachi Toshio. The prisoners then rose and the guards opened fire. Wartime censors kept details of the tragedy quiet amid fears of Japanese reprisals against Allied POWs. A military court of enquiry absolved the guards of blame, but acknowledged the fundamental cultural differences between captor and captive. The Japanese government did not accept the court’s decision. 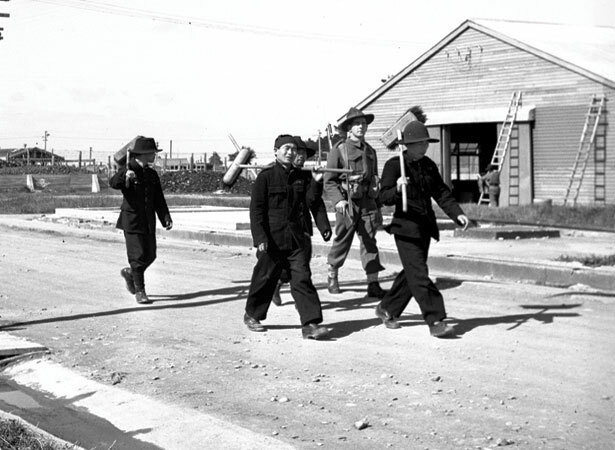 We have 9 biographies, 19 articles, related to 49 killed in Featherston POW incident.